This 2015 video is about the hide of Starrevaart and the birds one can see there. To the Starrevaart bird reserve. We cross the Vliet canal. In the Vliet canal, a barnacle goose swims. Egyptian and grey lag geese on the bank. In a reed bed along the Kniplaan, a reed warbler sings. In the Meeslouwerplas, two tufted ducks swim. Behind them, a great cormorant sits. One spoonbill, and many swifts, flying. In shallow water, scores of black-tailed godwits, an avocet and a redshank standing. A male and a female shoveler duck on a sandbank are in love with each other, their heads going up and down. Then, a wall brown butterfly on a white clover flower. This is a wall brown video from Wales. A dead mole on the footpath. We arrive at the hide. 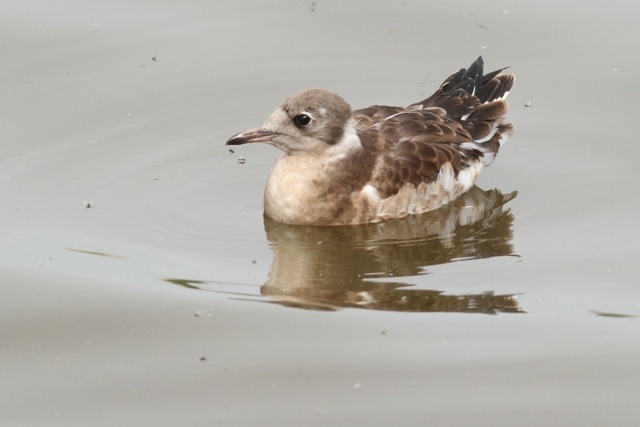 At the small island near the hide, this year’s young black-headed gulls are just learning to swim and fly. 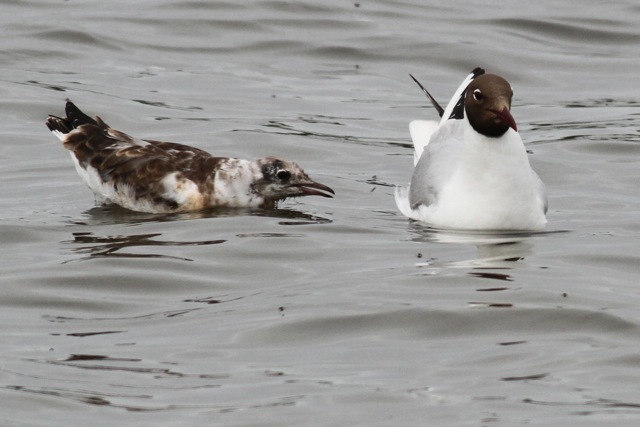 Though they can swim and fly now, they still beg their parents for food. 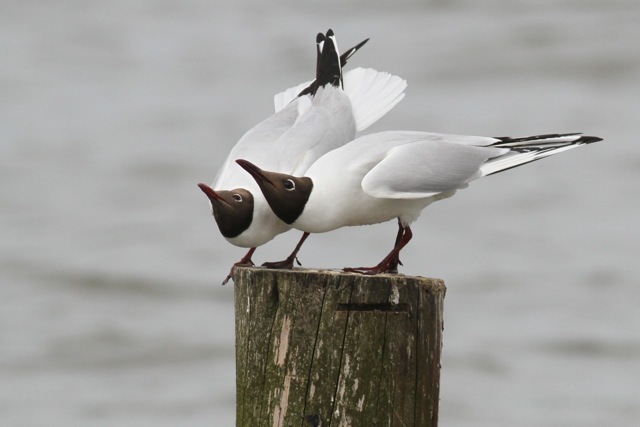 Meanwhile, the adult gulls like to strike poses on poles. 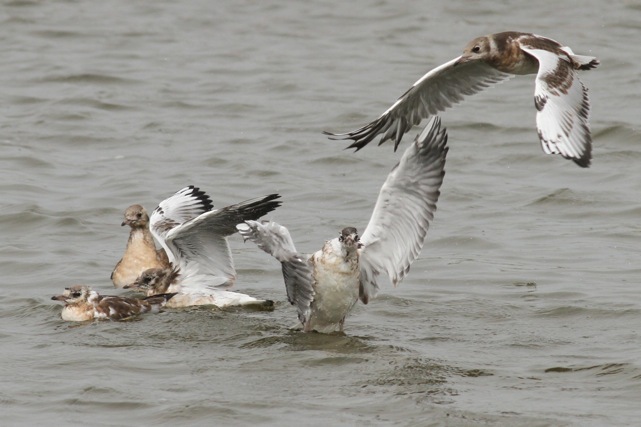 A male wigeon and grey lag geese swimming. And a female teal. As we walk back, we hear edible frogs, and a whitethroat singing. 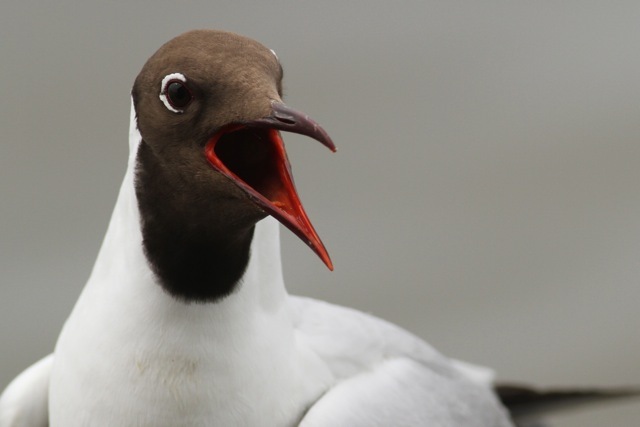 Black-headed Gulls in urban environments are better at responding to human foods than their rural counterparts, shows new research in Bird Study, the Journal of the British Trust for Ornithology: here. 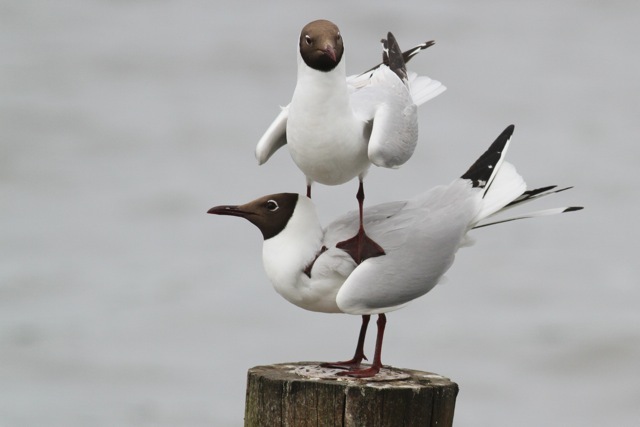 This entry was posted in Birds, Environment, Invertebrates and tagged photography by petrel41. Bookmark the permalink.